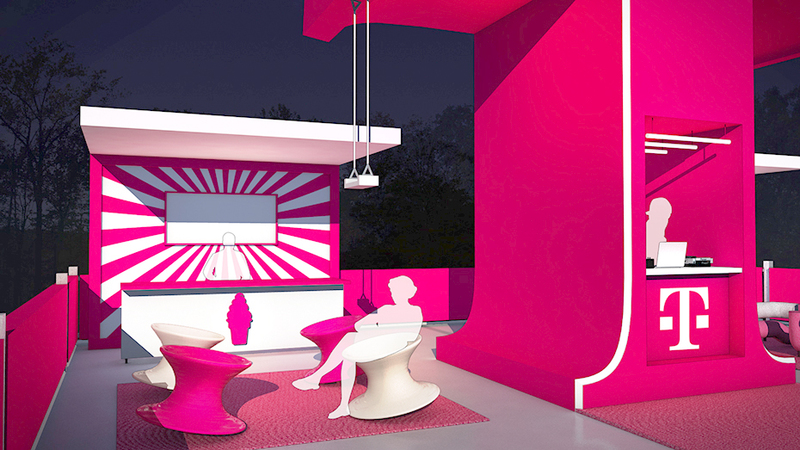 This project was a pitch to T-Mobile to create a 40’ x 40’ viewing deck at Electric Zoo, an EDM Festival in New York. 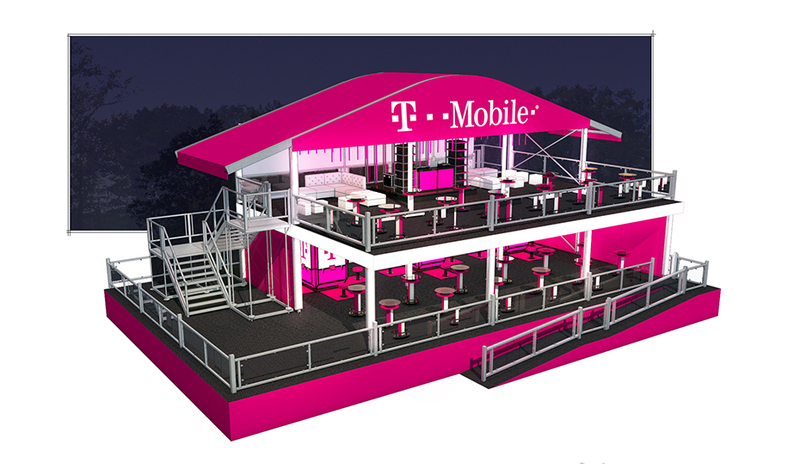 T-Mobile shows up at EZoo not as a sponsor, but as a fan – a fellow rebellious optimist who can amp up the party and celebrate the world as it should be. How this comes through: an end-to-end experience designed for fans. This is what it feels like to enjoy true music freedom – what you love, anytime, with just your phone. 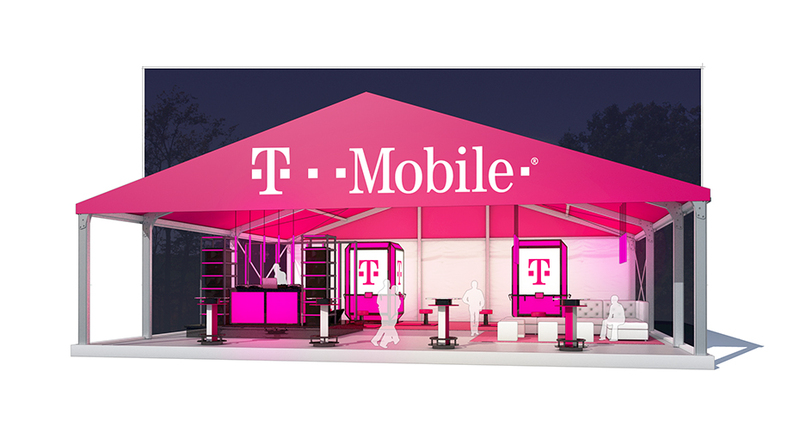 This angle is playful, joyful, it focuses on T-Mobile as a brand that enables you to tap into the best of the festival and have a once-in-a-lifetime experience. 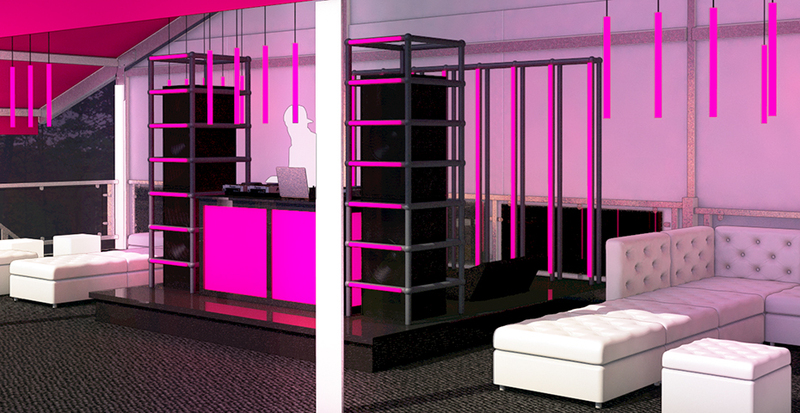 Idea statement needs to have music, magenta and New York. 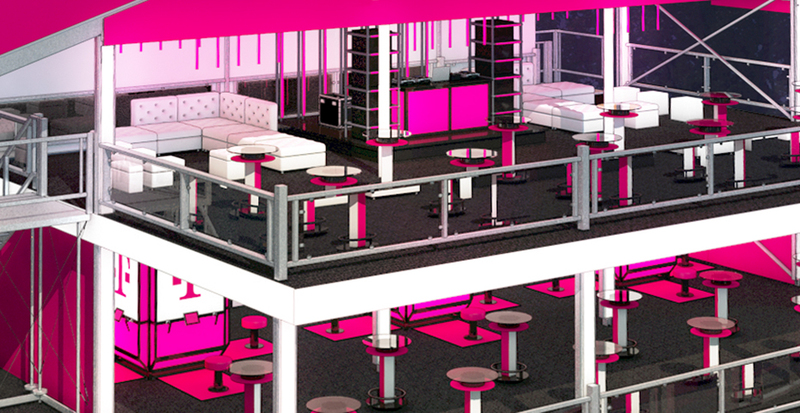 Concept 1 includes a playground environment with charging furniture, bubbles timed to music, a selfie swing, Are You With Us? 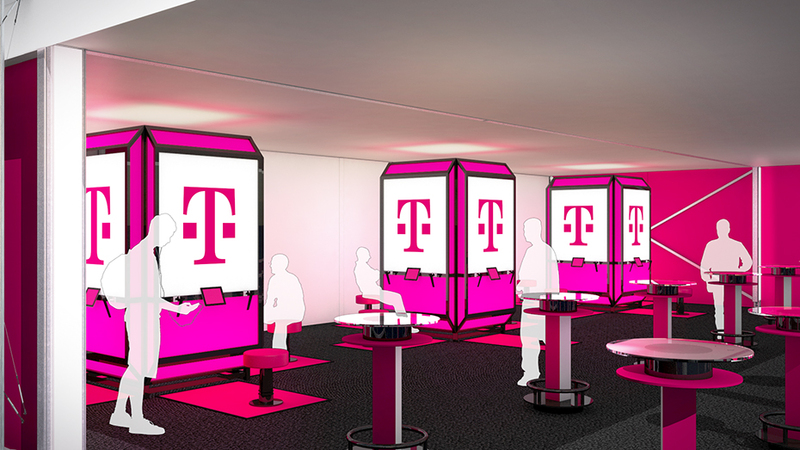 Guest pass for you and a friend, Ice Cream Station, and video capture in the booth gives people a video selfie of them dancing as a trippy pink silhouette. Music freedom means you’re in control to enjoy your music on your terms. 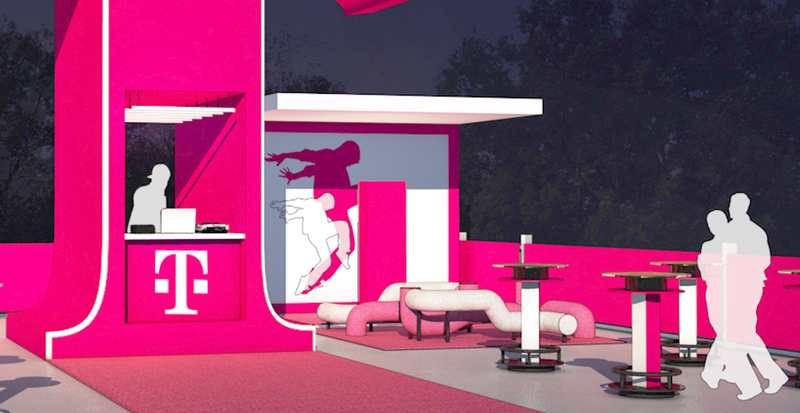 This angle focuses on eliminating FOMO, putting you in control. 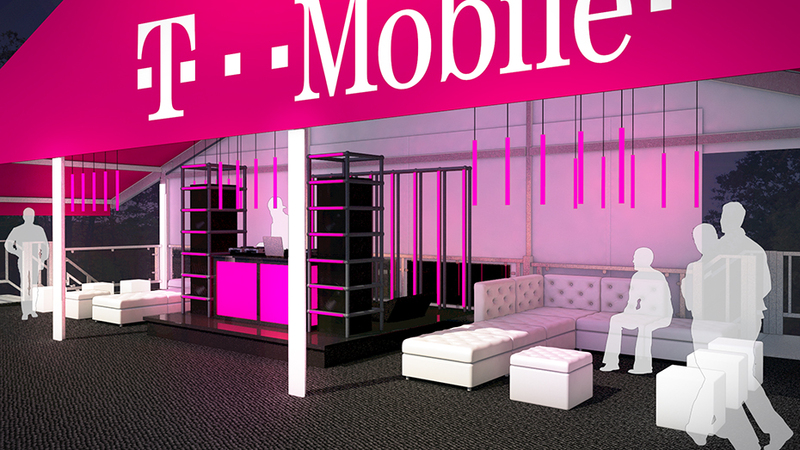 VIP viewing deck includes 360 viewing stations – attendees can put on VR goggles while their phones are charging and watch the shows from the different stages from the vantage point of the actual stage. 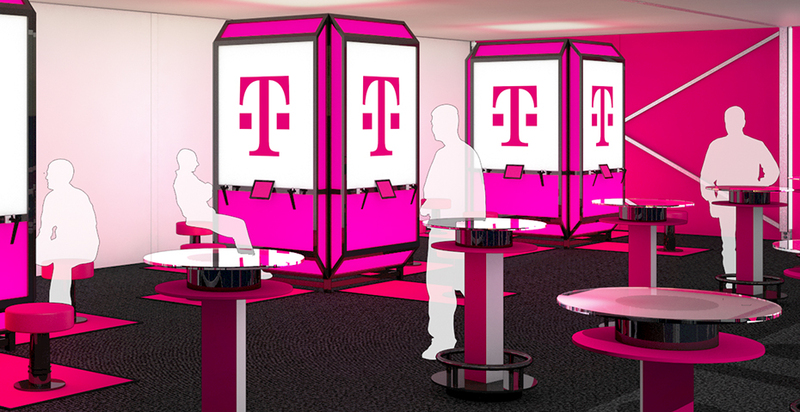 The tent is designed with LED lighting that pulses with the music during big moments. Food and drink delivery to the tent through partnership (like Seamless). 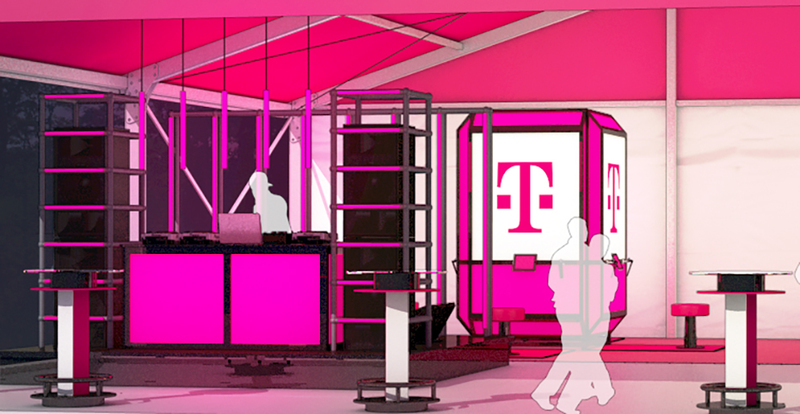 Battle of the Bass with amateur DJs in the tent. LED wristbands distributed in the tent. 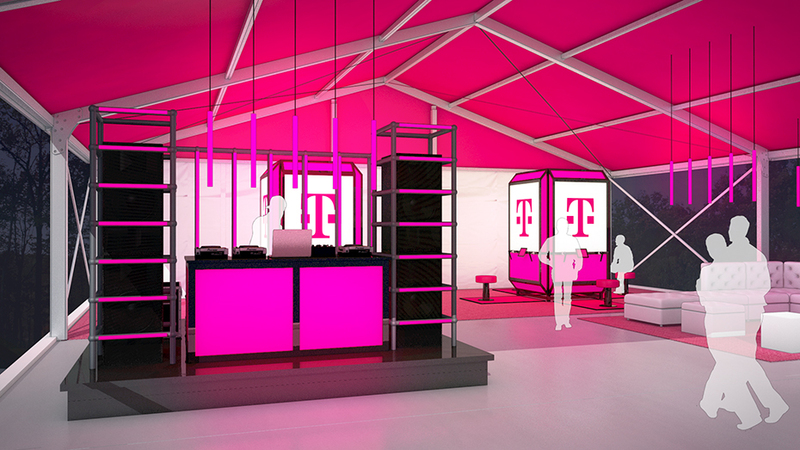 Integrated LEDs pulse to the beat, and make the T-Mobile tent an eye-popping part of EZoo’s visual landscape. Fans don VR goggles to see a 360 degree livestream from three stages around the festival. Onstage cameras lat fans see and hear the music, closer than ever before. A partnership with Uber Eats helps fans stay longer – and stay fed – with seat-side delivery from select food vendors. 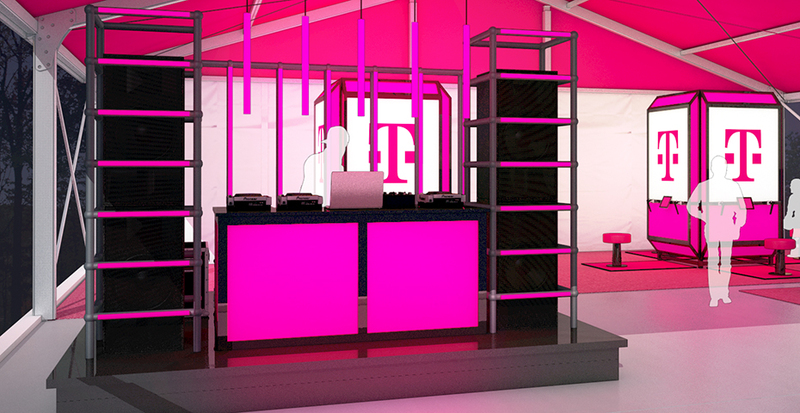 T-Mobile customers choose amateur DJs to perform in the tent by voting for selected tracks shared via the brands social channels.